Stay connected to your critical environments — wherever you go! 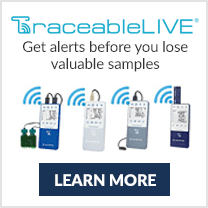 TraceableLIVE Wireless Technology allows multiple users to stay connected and monitor critical environments 24/7 wherever you go. 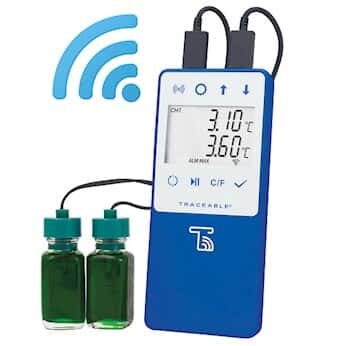 These data logging thermometers with Wi-Fi offer an easy and secure way to connect your smartphone, tablet, or personal computer remotely with your water baths, refrigerators, freezers, and biological/pharmaceutical lab equipment. Once setup is complete you can securely monitor current temperatures, control your alarm parameters remotely, view your data logging history, run reports in real time, and give access to other team members. No local software is required to use the cloud-based data interface. Get mobile push notifications, emails, or texts for temperature alarms, connectivity interruptions, or low-battery condition. Up to 672 records can be stored in seven days if the device is set to 15-minute intervals. 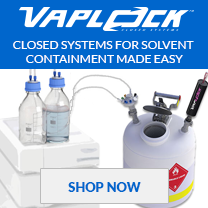 Use the included Velcro® strip to mount the probe to the inside of a freezer. Micro cable on the probe permits freezer door to close on it. Mount the logger to the outside of the freezer with the included magnetic strip or use the built-in bench stand to place on countertop. A large LCD displays probe and MIN/MAX temperatures. 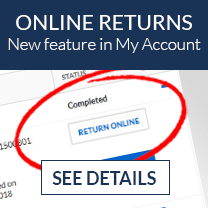 A low-cost subscription is required for TraceableLIVE® use. Plus the NIST-traceable precalibration means you get reliable measurements right out of the box, saving you time and money! 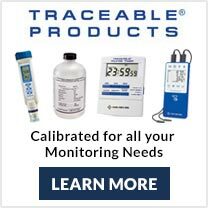 Traceable® products are calibrated to NIST-traceable standards and ready to use as soon as you receive it. 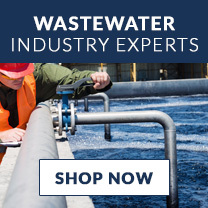 Each product goes through an intense vetting process before it can carry the Traceable name, and it includes NIST-traceable certification. 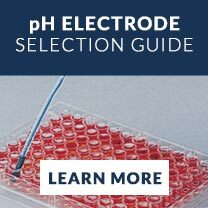 This means that a 17025-accredited calibration test lab has confirmed that the product meets or exceeds all stated specifications, saving you both time and money by not having to calibrate separately. 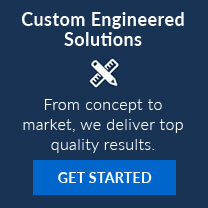 NIST-traceable calibration also helps you meet quality standards and regulatory compliance for ISO, FDA, cGMP, VFC, CAP, CLIA and Joint Commission requirements.